With a class-leading V12 engine, this SUV can race from 0-60 mph in a swift 3.8 seconds. The Bentley Bentayga Speed is the fastest SUV in the world, topping out at 190mph. The fastest SUV in the world needs equally impressive breaks and has the world’s largest front brake system. Whether you are zipping down urban avenues or venturing out into nature, your adventure on the road will be exhilarating and luxurious. The elegant design and craftsmanship captivates while the sheer power of the Bentayga Speed thrills on all terrains. Enhanced Sport mode creates a dynamic driving experience that is highly responsive for a sporty feel compared to Comfort mode. Luxurious interiors ensure that your driving experience is always comfortable and enjoyable. Complementary to the Bentayga range, the body style of the Speed has remained consistent. 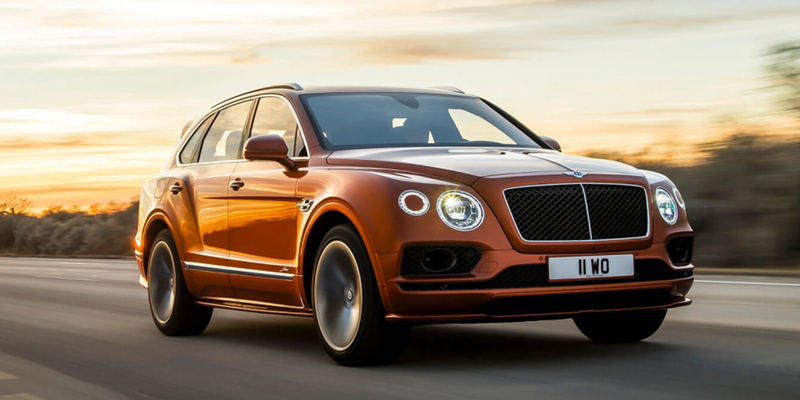 This luxury SUV has streamlined lines and flowing curves reminiscent of Bentley sedans. The rear spoiler has received an upgrade and the 22” Speed Wheels are exclusive to the Bentayga Speed. Personalization is up to the owner including 100+ paint options and endless interior combinations! A Bentley is not complete without winged B logos and the iconic headlamp clusters. The Bentley Bentayga Speed is not only the Fastest SUV in the World, but it also touts one of the most impressive brake systems including the World’s Largest Front Brakes. The Sport mode software has been enhanced to be more dynamic and sporty, thus accomplishing its top speed of 190 mph while maintaining confidence and control. Another enhancement to the modern driving experience is the connectivity to the “My Bentley app” that allows you to find where you parked and perform many other tasks. The Bentayga Speed interior is as luxurious as every other Bentley that has left the Crewe Factory. To match this SUV’s powerful presence, high-performance and light-weight Alcantara textile replaces heavier leather trims for a functional and sporty expression. 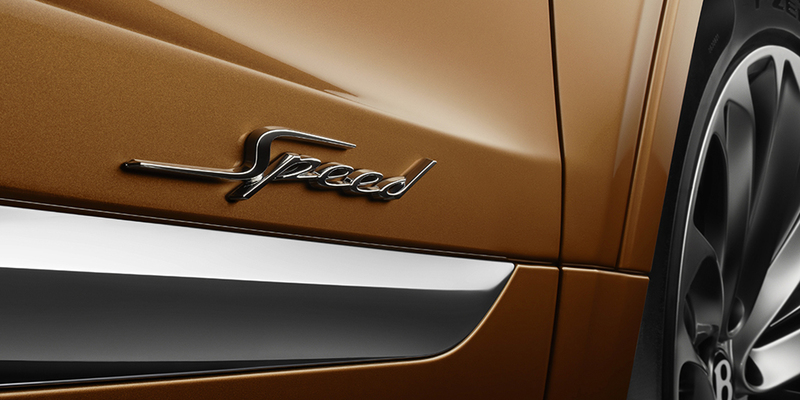 Additionally, the Speed emblem can be embroidered on the seats for a dramatic impression. The sleek and intuitive infotainment center enhance your experience especially when paired with your personalized “My Bentley app”.